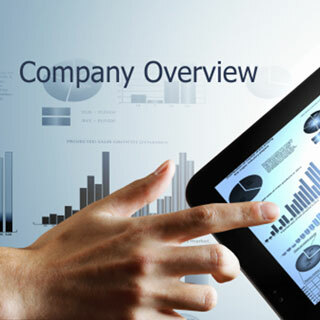 Right business with right solution..
Empowering Enterprises To Achieve Business Objectives Through People, Process And Technology ..
Panaromic enables global enterprises to address a dual mandate to make their current operations as efficient and cost-effective as possible, and to invest in innovation to unleash new potential across their organizations. What makes Panaromic unique is our ability to help clients meet both challenges. We help them enhance productivity by ensuring that vital business functions work faster, cheaper and better. And, our ability to conceptualize, architect and implement new and expanded capabilities allows clients to transform legacy models to take their business to the next level. Want real business improvement? So you can run your business in a more efficient, sustainable way. With more productive staff and a more profitable future. Think of the advantages you would have by sitting down with someone who has insight into your market. Someone who champions sustainable business eco-systems and delivers real business value through technologies. All based on local presence in your country and a clear understanding of compliance issues, your unique critical change projects and key challenges. Imagine the value if all staff contributed toward the process. Not just project managers and boardroom members. Acting as a catalyst for operations improvement and using a one size doesn't fit all approach Panaromic Consulting delivers a unique service across all sectors. So you realise business improvements that put you on the road to success. Care to take the wheel? Find out more about our consulting practices. What's your idea of business? Picking up the insight to improve decision-making? Reducing cost and risk to deliver a rapid return on investment? You can realise that ideal, stay ahead of your rivals with unique solutions that solve key business issues, as they unfold. Follow up with the right recommendations, in real time as customers use your product. Things are changing fast. Today your best customers aren't necessarily the highest spenders. They're the ones with the widest circle of influence. So why not tap into the lucrative social networking environment and impress them? Today you can. Our user-friendly tools blend understanding with BI as a service, and, our accelerators improve BI strategy. Giving you the knowledge to make the right decisions, every time. Information is the great enabler. So wouldn't it be incredible if you could effortlessly manage it, find it and disseminate it? Through it you could then deliver operational excellence to gain a competitive advantage. After all, you created this information for a purpose. With Business Process Management you can automate and optimise processes to increase efficiency and agility. Reduce manpower, office and storage costs. Usage of portals and social media opens the door to more collaborative working, particularly across the extended enterprise. Through our consultants and the development of end-to-end services from localised business teams, we can make this happen. We'll work with you to deliver real benefits and value, keeping you compliant. 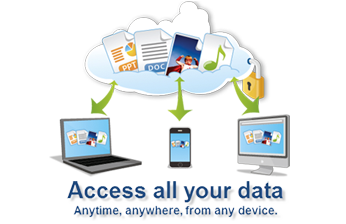 Let us help you create value out of Enterprise Content Management. We'll provide the tools and support so your people can work smarter, not harder. And you can sustain the profitability of your business. You're always on the lookout for new and efficient ways to transform your business. You're open to cloud computing and its potential to reduce costs and time to market. But, you want it to work effectively. With the ever shifting modern business landscape and technological innovation, the next steps are not always clear until now. Using the right mix of cloud services, you'll benefit from decreased time to market and increased flexibility. You'll reduce costs through effective systems and services integration, without compromising your data. With our local cloud, you can improve your agility, providing more mobile and self-service for your colleagues, employees and citizens. We'll help you get there with our know-how in areas such as security, complex integration, business transformation and service management. We'll streamline and combine your business systems in a workable format, using private and public cloud applications to lay the foundations for a hybrid cloud environment. We'll also work with you to harness that environment transforming how you interact with ecosystems of customers and partners. Growing your business. Your profitability improves, yet never at the expense of the smooth running of your organisation. Our commitment to excellence has always been guided by Innovation. And innovation for us centres on finding new ideas and opportunities in collaboration with you, our clients and partners. We believe that people are central to the success of any idea. It is when people come together that new ideas are generated and incubated, which then shape the future of businesses. In today's competitive and fast-paced business environment working, in silos is not the smart approach. That's why we emphasise on the power of collaboration, constantly evolving strategies to bring in continued benefits with changing times. For us, collaboration is not a one-way street. We realise that the key to making collaborative innovation successful, is to understand each other and work together to meet common goals. That's why we believe in investing time and effort to understand your sensitivities, business goals, and culture. We understand technology and then apply it in an innovative and sensible way to develop smart solutions, to give you real business benefits. As markets vary and times change, we help you evolve. So that, you can realise your strategic goals, transform the way you do business and increase your competitive edge with improved efficiency. Pages going forward, aim to give you a better insight into our journey in Innovation. And how we can take that journey together. The Innovation Blog beckons you. Read and exchange new ideas and thoughts. Find out all about innovation that happens at Panaromic. Panaromic is an equal opportunity employer and people dependent company. We provide the right environment and we are on the lookout for talented individuals who can grow with us and be part of our growing team. We believe our employees are investors in Panaromic and are worthy of returns that reflect their contributions. We believe in open communication and provide a working culture where opportunity is open to all without regard to non-job related factors such as disability, gender, race or religion. And prohibit harassment of any kind. We promote ethical business values supported by a social responsibility and these policies help our employees achieve their personal and professional goals. If working for Panaromic sounds good to you, then we would like to talk to you. Please call during office hours, email or apply online. Our advanced analytics solutions help you transform data into business insights that drive outcomes and lead to better performance. Our application development and mainteinance solutions drive efficiency and effectiveness, and helo you build adaptable platforms. Companies use our customized BPS solutions to gain an advantage. We help you save costs immediately, that make businesses work smarter. Panaromic offers onshore and offshore solutions. Open Wananga delivers home based fee free programmes. 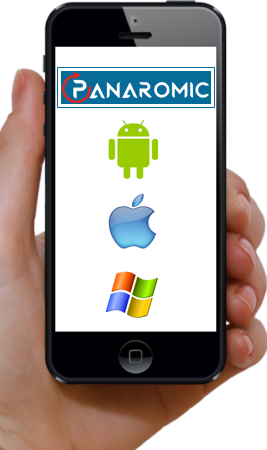 Panaromic has expertise in iPhone Application Development. Microsoft's Windows Mobile is a smart operating system for mobile devices. Panaromic Technologies is authorised distributor in complete India for CADian Software. 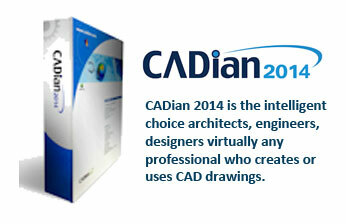 CADian also provides a high degree of compatibility with the AutoCAD command set, as well as AutoLISP and ADS. That means you can get to work immediately using the AutoCAD files, commands and applications you rely on . CADian offers smooth Microsoft Windows integration plus many unique productivity features, including the ability to open multiple drawings at once. While social, mobile, analytics and cloud technologies add a new dimension to your business model, to fully maximize their value consider the sum is greater than its parts. The formula for the Future of Work is called SMAC - social, mobile, analytics and cloud on one integrated stack, where each function enables another to maximize their effect. This is the new enterprise IT model delivering an organization that is more connective, collaborative, real-time and productive.